Perfect water pressure with a small pump that can fit into a tight spot. SKU: Davey HP45-05T. 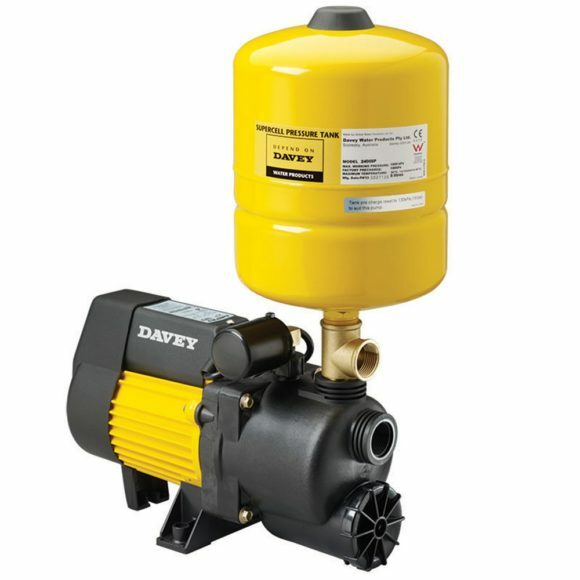 Categories: Davey, Household and Rural Pumps, Pressure Pumps. 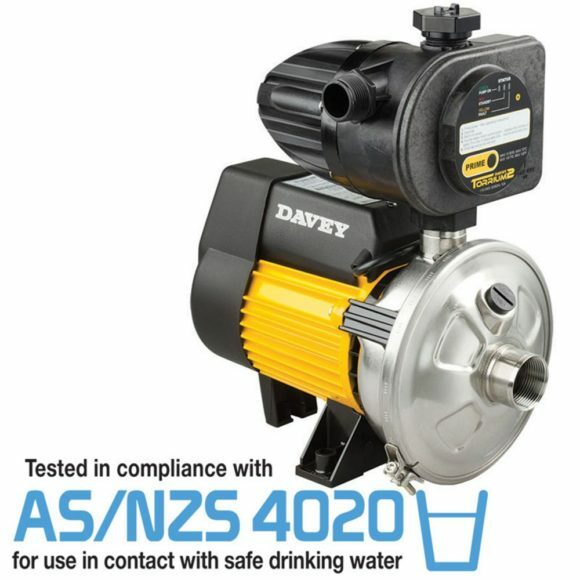 The Davey HP45-05T HP Pressure System consists of a HP pump fitted with a Torrium controller. 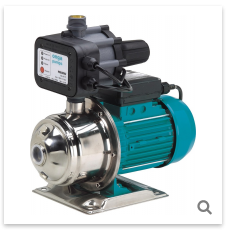 These multi-stage centrifugal pump systems feature constant flow control and loss of prime device for automatic water pressure. 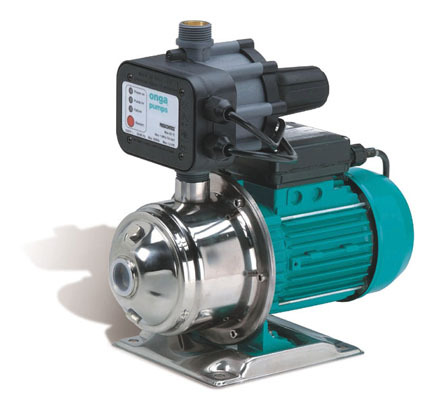 The Torrium is supplied connected electrically to the HP pump motor for easy non-tradesmen installation and assembly. The combination of the high pressures and constant flow control, enables consumers to enjoy the benefits of a strong comfortable shower from a pump that does not cycle and also the reliability of adaptive technology. That’s why Davey invented the extremely clever, Torrium Pressure System Controller. Five years in the making and thousands of hours of world wide, in-the-field testing have culminated in a Pressure System Controller that can actually think for itself. The Torrium can automatically adapt to changing conditions…because it has an in-built titanium mounted ‘brain’ that can out-smart every-day problems. It also means there’s far less installation and maintenance issues. 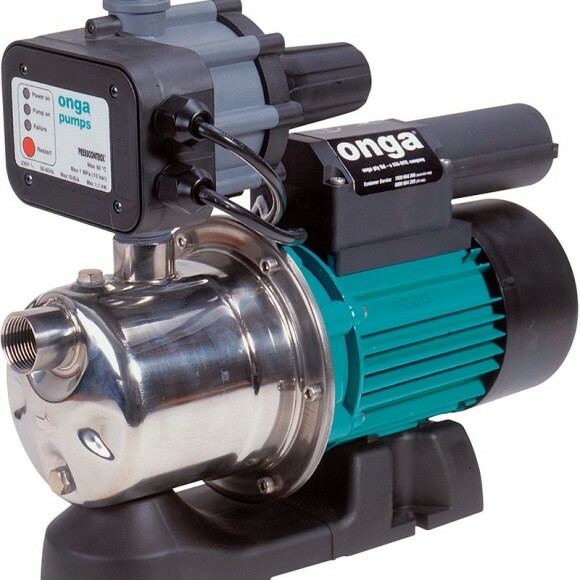 This unique ability to respond to changing circumstances ensures a steady, reliable flow of water is virtually guaranteed day after day, year after year. Pressure Boosting and even more!